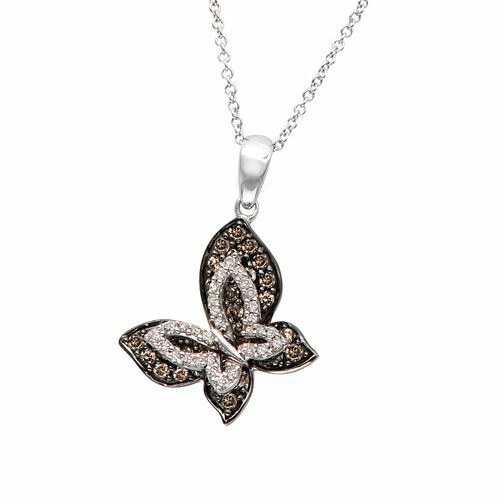 Le Vian's takes a renewed interpretation on one of the most enduring symbols of beauty and transformation through the icon of the butterfly; the outline is defined by Le Vian's signature Chocolate Diamonds, overlaid with a dazzling contrast of Vanilla Diamonds that bring prominence and definition to the look. The Le Vian name has been associated with the world's finest jewellery since the 15th century and is now worn by Hollywood celebrities and the glitterati. Total diamond carat weight of 0.65ct.